As the winter months ensue, health behaviors are at risk for taking a negative turn. Changes in eating patterns, increased sedentary time, reduced overall activity, and altered sleep patterns are all to blame. In addition, reduced exposure to natural light, as people tend to stay indoors due to inclement weather, may contribute to “feeling blue” and increased depressive symptoms. The researchers accessed a large data set from the Centers for Disease Control and Prevention Behavioral Risk Factor Surveillance System (BRFSS). This survey is conducted each year, asking a variety of questions about resopndents‘ health and behavior. The sample of adults greater than 18 years in age was large (N=1,237,194) and diverse. Information on exercise type, duration, frequency, and intensity was used to divide the sample into those who exercised and those who did not. The groups were well balanced (matched) on a variety of physical and sociodemographic variables, including age, race, gender, marital status, income, education, body mass index, self-reported physical health and prior diagnosis of depression. The exercise and non-exercise groups were compared on the number of bad mental health days experienced in the last month. This was reported in response to a standardized BRFSS question: “Now thinking about your mental health, which includes stress, depression, and problems with emotions, for how many days during the past 30 days was your mental health not good?” (1) The analysis was by regression with adjusting for the covariates noted above. Mean poor mental health days was 3.36, and findings revealed that the people who exercised had 43.2% fewer days of poor mental health than those who did not. This was actually only 1.49 fewer days, but importantly, within the exercise group, all types of exercise were associated with better mental health over not exercising. Team sports, cycling, and aerobic and gym activity were the most associated accounting for 22.3%, 21.6% and 20.1% lower mental health burden, respectively. The authors suggested that there may be a social component of these activities that was additive. An exploratory analysis revealed that even “mindful” types of exercise such as yoga or Tai Chi were better than not exercising. Several non-linear associations were found indicating U shaped patterns – less relationship at the lower and higher ends of the data. This was seen in dose of exercise and response. The most associated time was 30 to 60 minutes (most optimal around 45 minutes) for all types of exercise. However, an episode duration 90 minutes to 3 hours was associated with worse mental health. 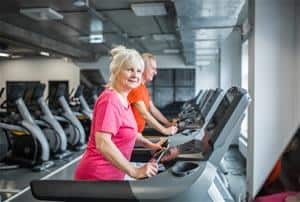 Optimal frequency was 3-5 times a week, with lower mental health in those exercising less frequently and in those exercising more than 5 times a week. The worst outcomes were for those who exercised greater than 23 days per month or for durations of greater than 90 minutes. If a prior diagnosis of depression was reported, the positive influence of exercise was even greater. The associations of exercise and mental health held across all age, gender, racial, and household income groups. It must be noted that this study was cross-sectional and interpretation of one-way cause-effect is cautioned. But the large and diverse sample and a robust analysis provide confidence in the associations between exercise and mental health. Types of exercise most beneficial, such as team sports and cycling when appropriate. Individualized counseling regarding type, frequency, and duration of exercise according to what the person might be able to do in the winter months. Most important, cardiovascular nurses can encourage and motivate patients by explaining that, for their mental health, any exercise is helpful over none at all! Sammi R Chekroud, Ralitza Gueorguieva, Amanda B Zheutlin, Martin Paulus, Harlan M Krumholz, John H Krystal, Adam M Chekroud Association between physical exercise and mental health in 1·2 million individuals in the USA between 2011 and 2015: a cross-sectional study. Lancet Psychiatry 2018; 5:739–46.